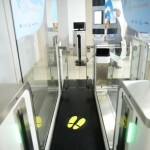 The first 100% self-service passenger experience, based on traveler-centric biometric technology, from curb to boarding! ARUBA HAPPY FLOW, SECURE, QUICK AND EASY! 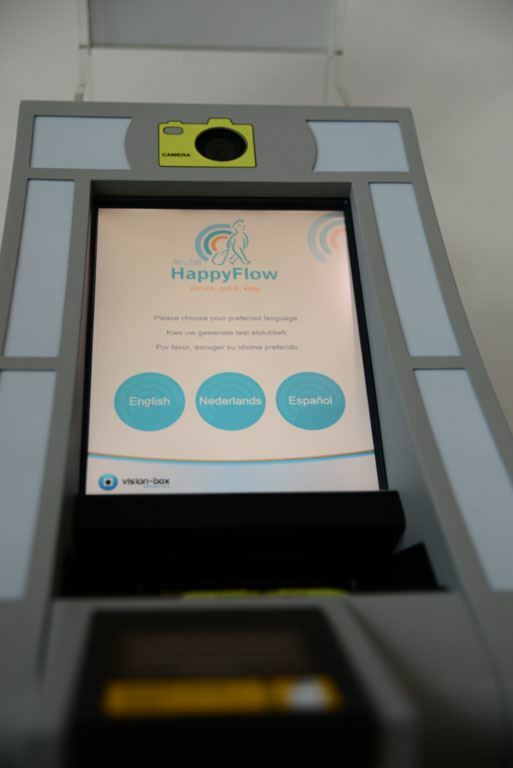 ARUBA HAPPY FLOW IS AN UNPRECEDENTED PUBLIC PRIVATE COOPERATION COMPOSED OF ARUBA, THE NETHERLANDS, ARUBA AIRPORT, KLM, VISION-BOX™ AND SCHIPHOL GROUP. 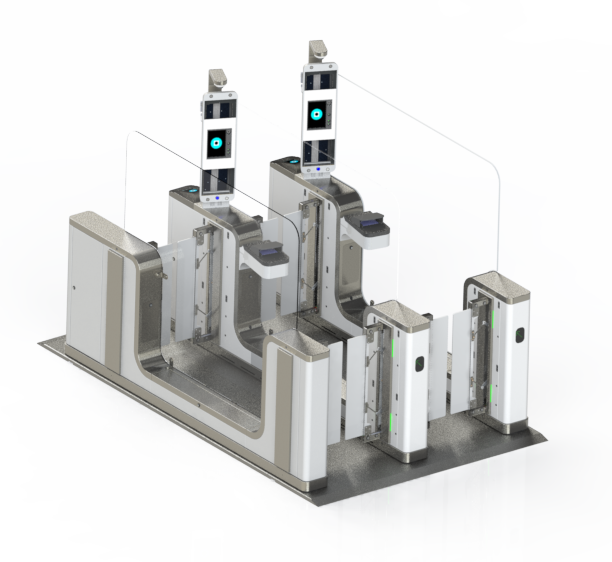 to test the first pre-clearance border control process from the Americas to the EU-Schengen area. 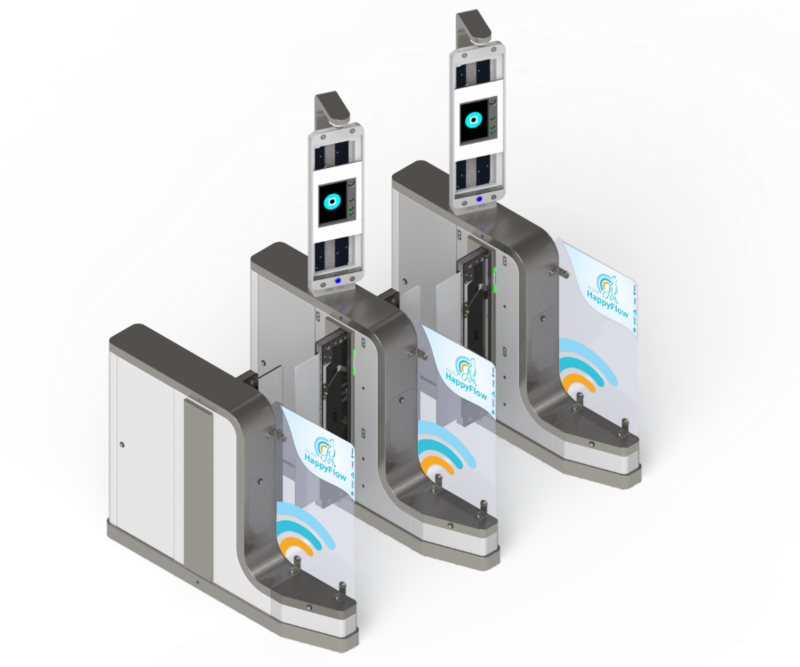 This full end-to-end solution consists of a streamlined sequence of user-centric self-service touch points, from check-in to boarding the aircraft. 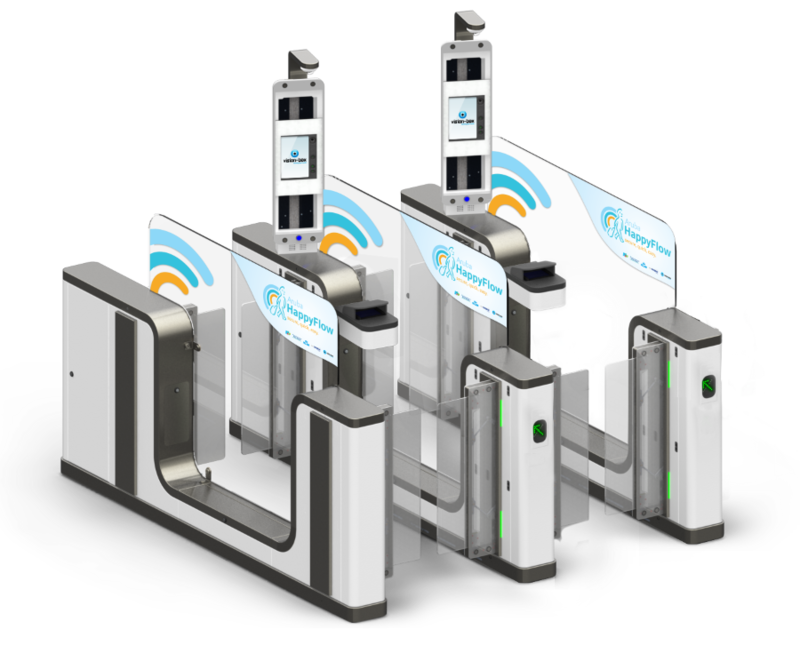 At all passenger touch-points, the passenger’s face image is the identification token. 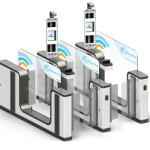 With Aruba Happy Flow, passengers are only required to show their passport once, at check-in, when they also enroll their biometric data. 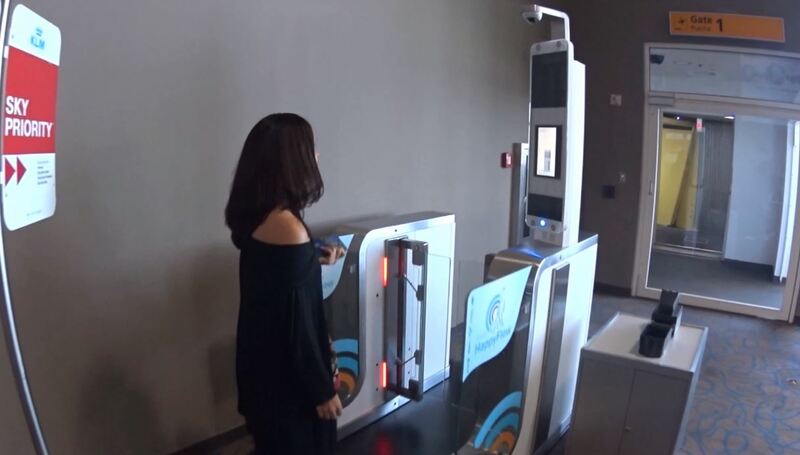 After that, they move across all stages of the airport being identified at user-friendly Passenger Touch Points by face-recognition cameras which identify them by their face. FACE IT! YOU WILL LOVE IT! HOW DOES HAPPY FLOW WORK? 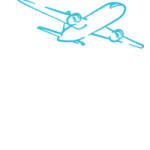 When moving across traditional airports, passengers are usually required to show their passport and boarding pass at every control step and endure lengthy queues and stress until they board the aircraft. 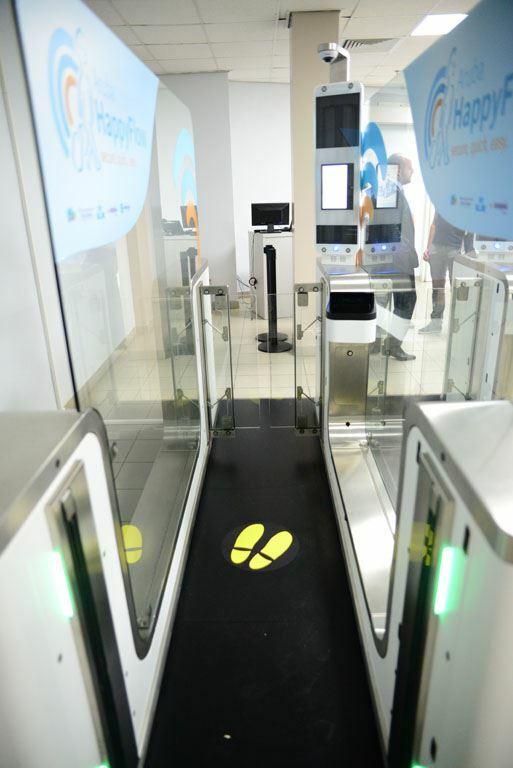 Aruba Airport has embraced the new digital era and implemented Aruba Happy Flow, a completely renovated experience for the passenger, allowing for a streamlined, touchless airport journey. Travel documents are only required once: at check-in. 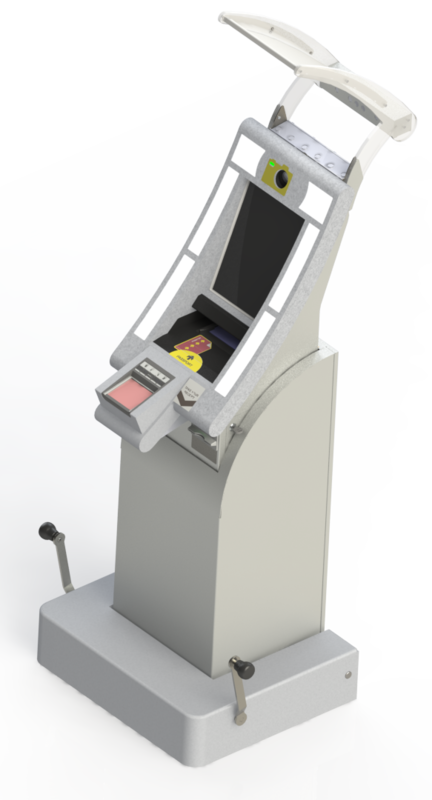 At that moment, a virtual Passenger Data Envelope is created, containing passenger biometric and biographic information. 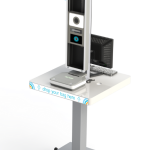 After check-in, the passenger goes through baggage drop off, pass border control and board the aircraft without being asked to show any travel document: user-centric self-service Passenger Touch Points (Self-service Baggage Drop stations, Automated Border Control eGates and self-boarding Gates) identify each passenger’s face and match it to the passengers’ database, only allowing authorized passengers to move on. The process at each Passenger Touch Point only takes a few seconds! 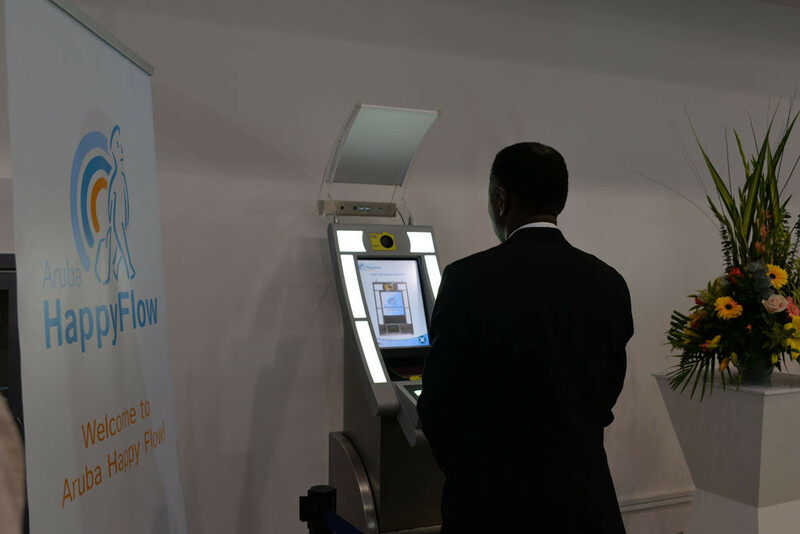 No queues, no uncomfortable identity verification processes, a happy journey all the way from check-in to boarding! Aruba Happy Flow brings many benefits for the Authorities as well: an end-to-end passenger flow orchestration platform connecting all passenger touchpoints guarantees a real-time overview of the passengers’ individual clearance processes, the possibility to efficiently monitor passenger flow, and a centralized control and optimization of the whole security infrastructure. 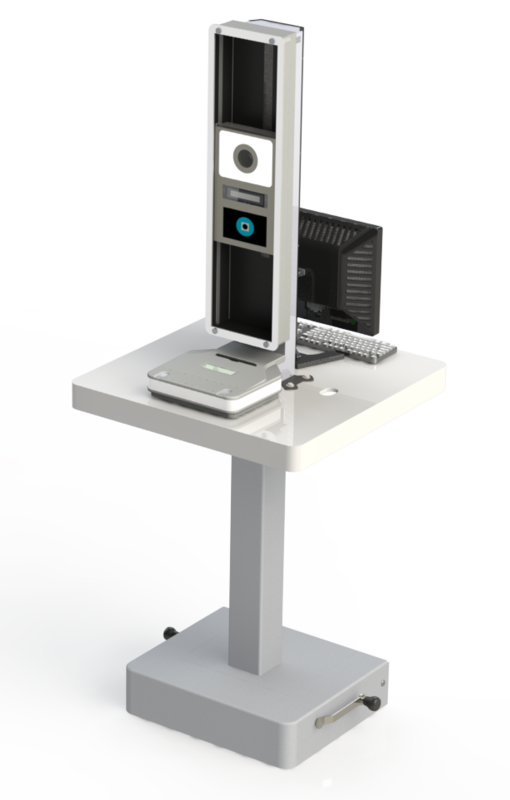 This orchestration platform was built to strictly and consistently assure the privacy of all passengers, making no concessions with regard to safety! Aruba Happy Flow is secure, quick and easy! 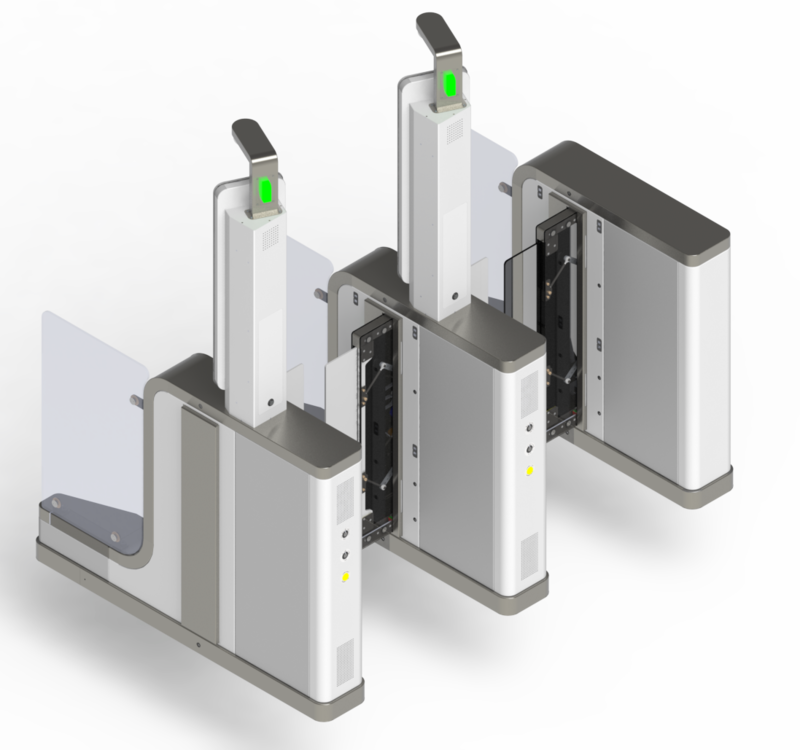 A seamless combination between ergonomic hardware and passenger-centric interfaces for a happy Passenger Experience! 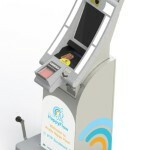 Passenger touch-points were designed by Vision-Box to blend with the happy airport environment! 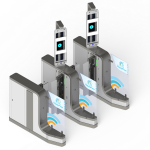 Learn more about the revolutionizing solution behind the Aruba Happy Flow! Happy Flow has been live for a year! 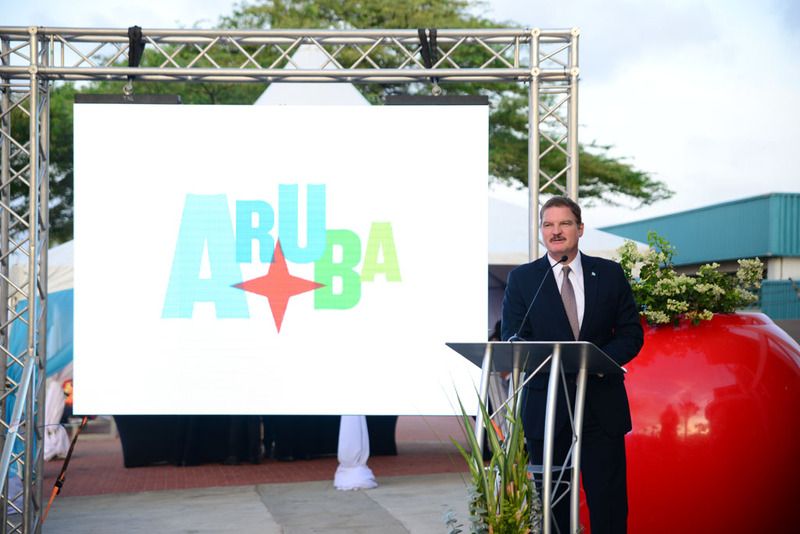 The official green light for Aruba Happy Flow was given on 28 May 2015 by Prime Minister Eman, in the presence of the State Secretary of Security and Justice; Jos Nijhuis, president & CEO of the Schiphol Group; Ben Swagerman, Senior Vice President of KLM Security Services; Jim Fazio, Aruba Airport CEO; Miguel Leitmann, Senior Vice-President of Vision Box ™ and many other invitees! 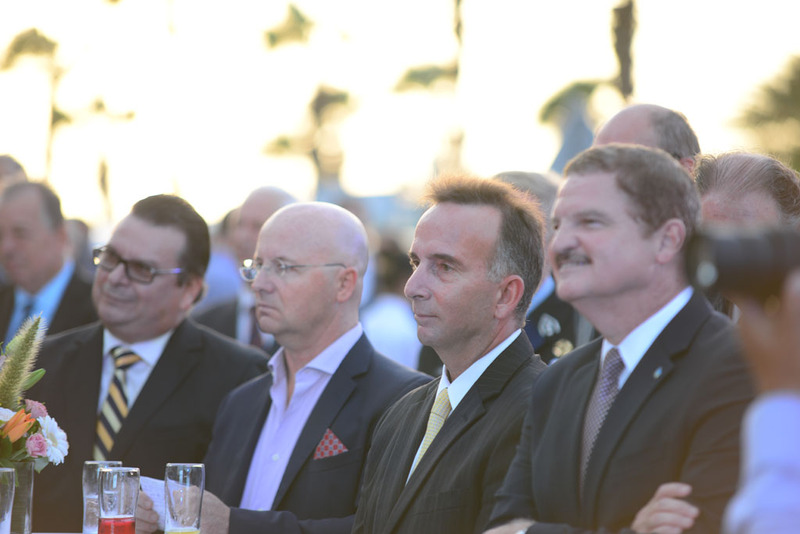 Inaugural Ceremonies @ Aruba’s Airport. 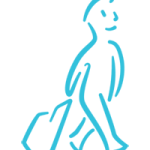 For now, Aruba Happy Flow is only available to a limited group of KLM passengers upon invitation. At a second pilot stage, the program will be expanded to include a larger group of passengers. 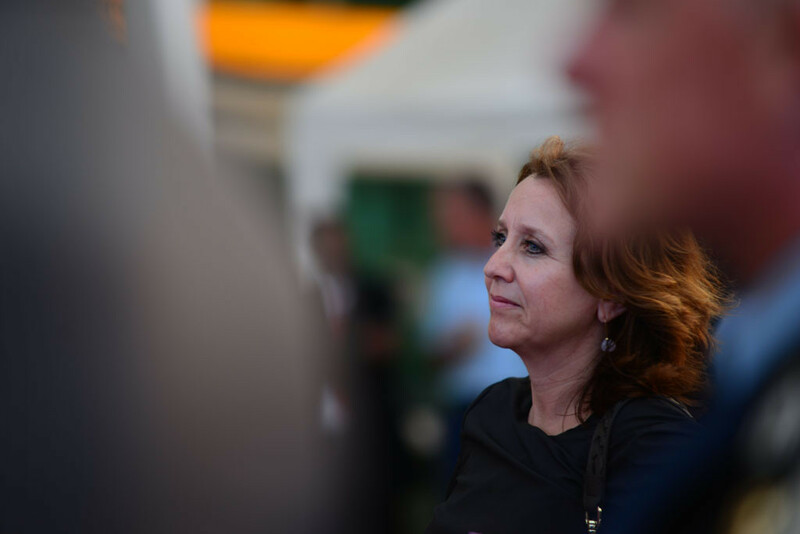 The pilot project will help us gather valuable inputs from our passengers, evaluate whether Aruba Happy Flow is offering the level of service they expect, and if any potential adjustments are needed. 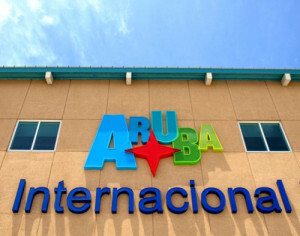 On 18 July 2012 the Netherlands and Aruba signed a declaration of intent regarding “Collaboration in respect of the preclearance in Aruba of both passengers and goods carried by them” This was prompted by the wish expressed by Aruba to implement EU-Schengen preclearance in Aruba. 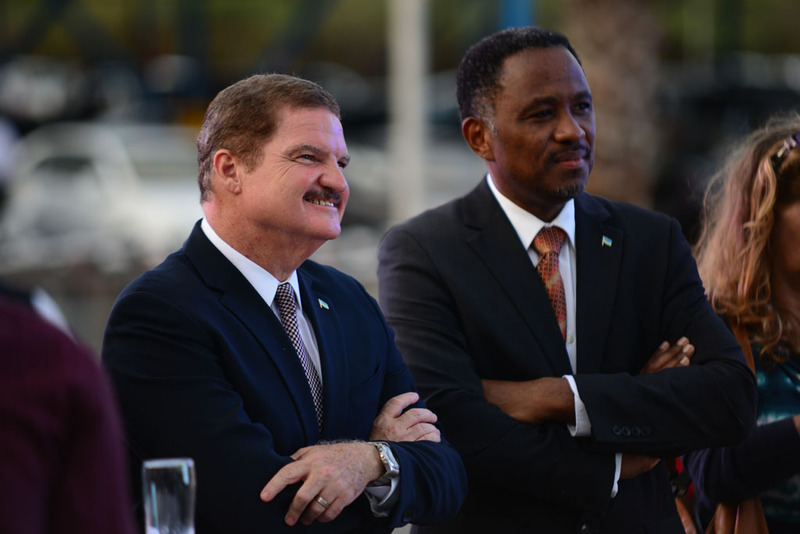 In November 2012 this intention was ratified by the then Dutch Minister of Immigration, Integration and Asylum and the Minister Plenipotentiary of Aruba by appointing a working group to explore the possibility of EU-Schengen preclearance. 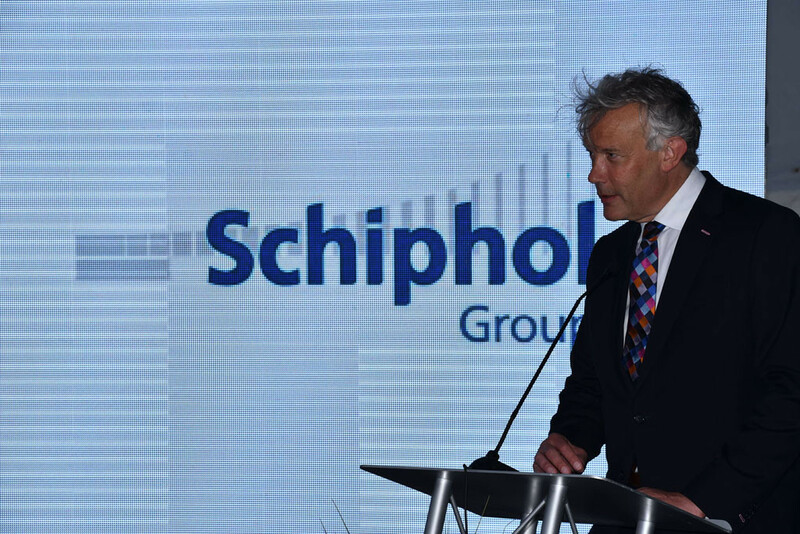 Besides the two countries, this working group also includes KLM, Schiphol Group and Aruba Airport. 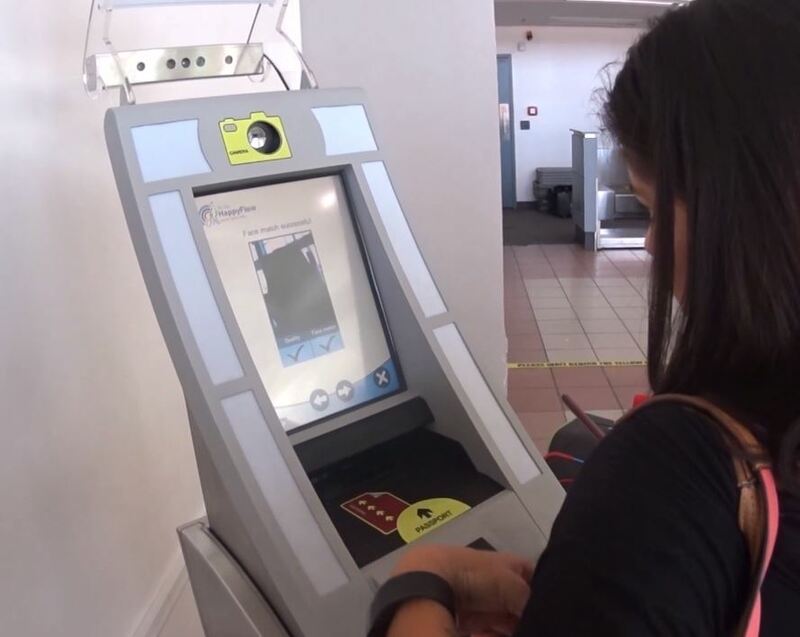 Phases 2 and 3 require the clearance of passengers at Aruba Airport to be brought to the same standard as clearance in the EU, in compliance with Schengen criteria. 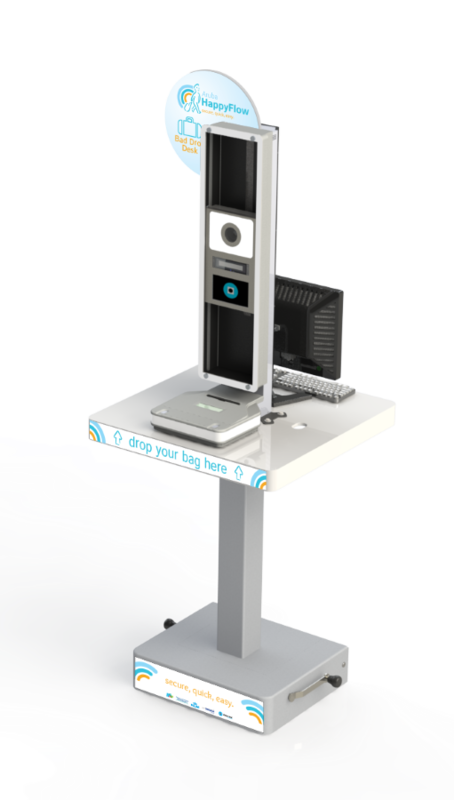 In addition, Aruba aims to make the passenger clearance process faster, simpler and safer. 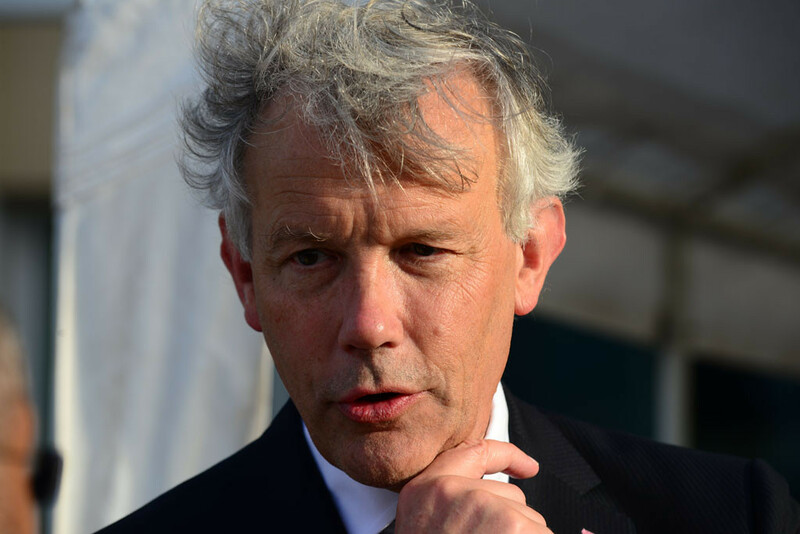 This should result in a passenger flight handling which links the public process of border control and the private process of passenger transport to form the ‘smart border passage’ of a passenger flow, a so-called ‘Happy Flow’. 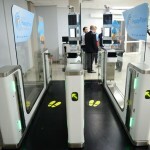 Happy Flow is a unique, innovative passenger process incorporating a border passage process in accordance with European (Schengen) standards. 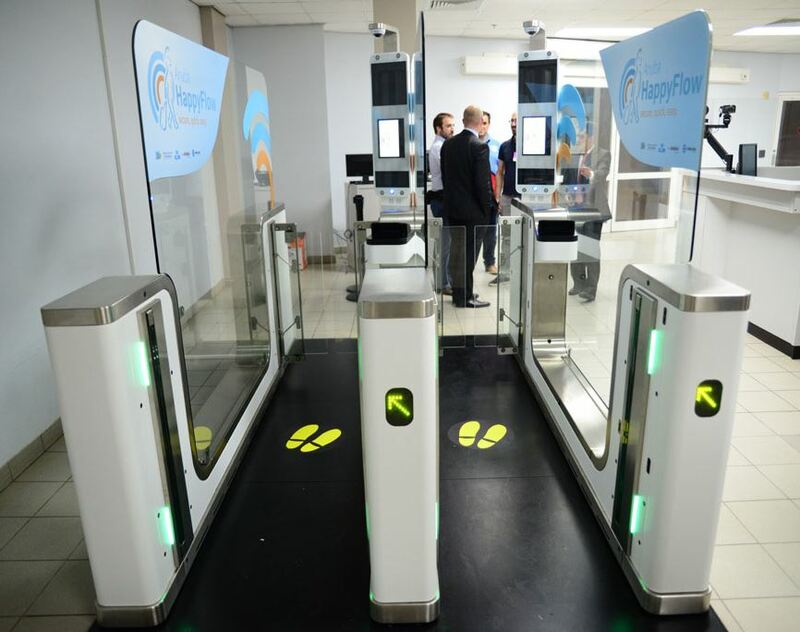 This includes check-in, baggage handling, border passage and self-service boarding using facial recognition linked to travel data. 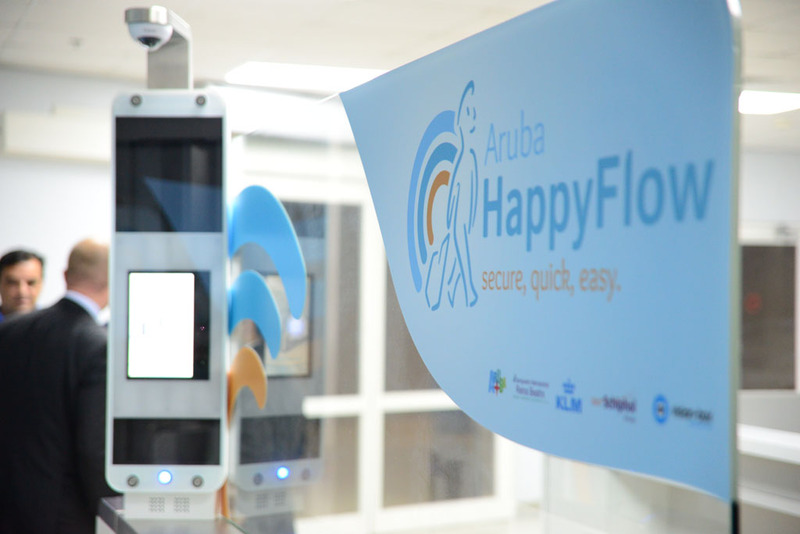 Happy Flow will operate as a two-year pilot at Aruba Airport for a restricted group of passengers, making full use of biometric applications. 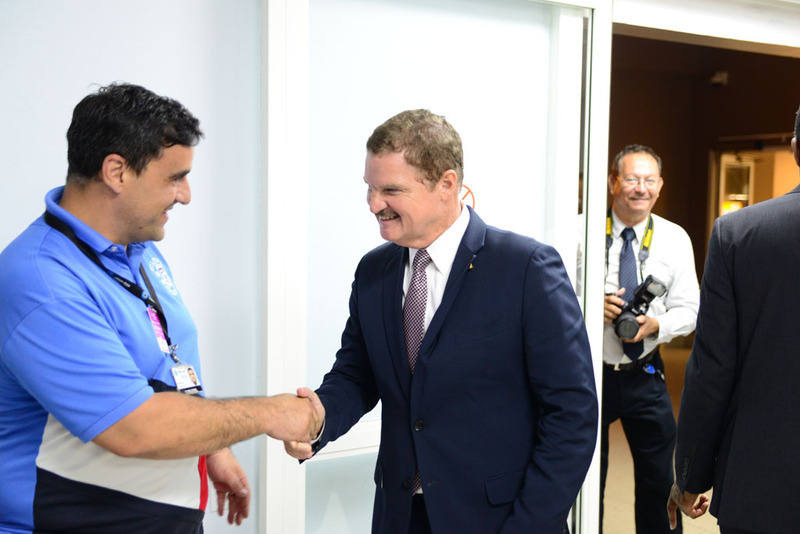 If the results are positive, it is possible that the pilot will be expanded to include wider groups of passengers or integration with security procedures, for example. 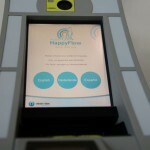 The introduction of Happy Flow at Amsterdam Airport Schiphol is a possibility. 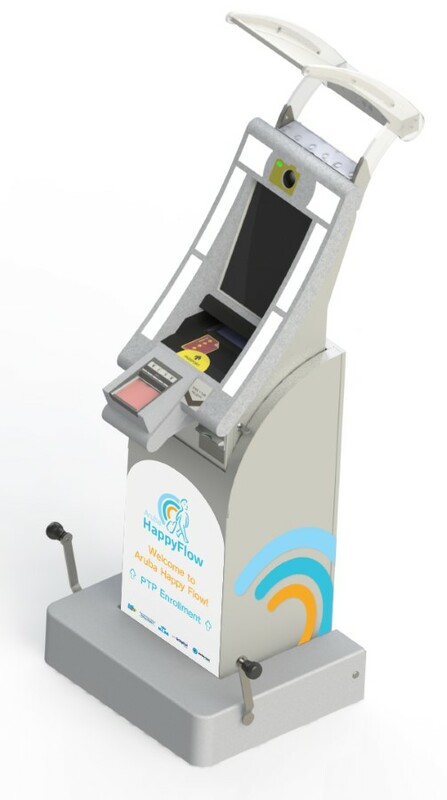 Following a tender procedure, the implementation of Happy Flow was awarded to Vision Box. All five partners (Aruba, Netherlands, KLM, Schiphol Group and AAA NV) signed the resolution for a Steering Committee and a Project Board to guide the implementation and execution of the Roadmap. The Steering Committee consists of the Prime Minister of Aruba as chairman, the Chief Executive Officer of the Aruba Airport Authority NV, Dutch State Secretary of Security and Justice, the President-Director of the Schiphol Group NV, the President and CEO KLM BV, the General Manager of Customs in the Netherlands (advisor), and the Commander of the Royal Netherlands Marechaussee (advisor). 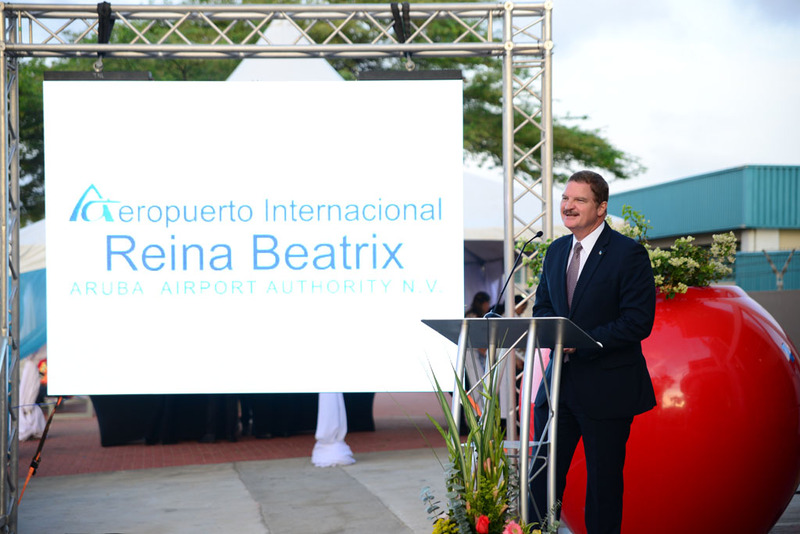 The Project Board consists of Mr. Gerald Vingal, Head IASA (chairman), Mr. Mauricio Boekhoudt (Aruba Airport Authority NV), Ms. Annet Steenbergen / Mr. H.C.S. Tilma (Government of Aruba), Mr. Manuel van Lijf (KLM), Mr. Marten Dijkstra (Schiphol Group NV), Mr. Mike Vrolijk (Dutch Ministry of Security and Justice), and Mr. Richard Camman (Proodos). 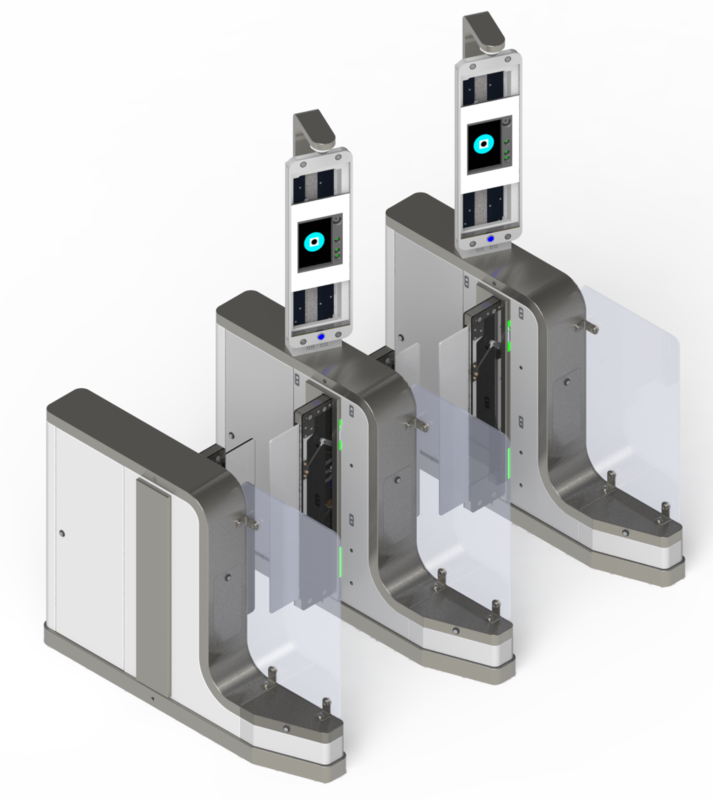 Vision-Box was the leading Identity Management company, expert in Passenger Experience, which implemented this groundbreaking project and is determined to bring the best results to this landmark project and to all its stakeholders, especially… the passengers! 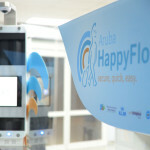 Aruba Happy Flow, a revolutionizing, awarded experience! 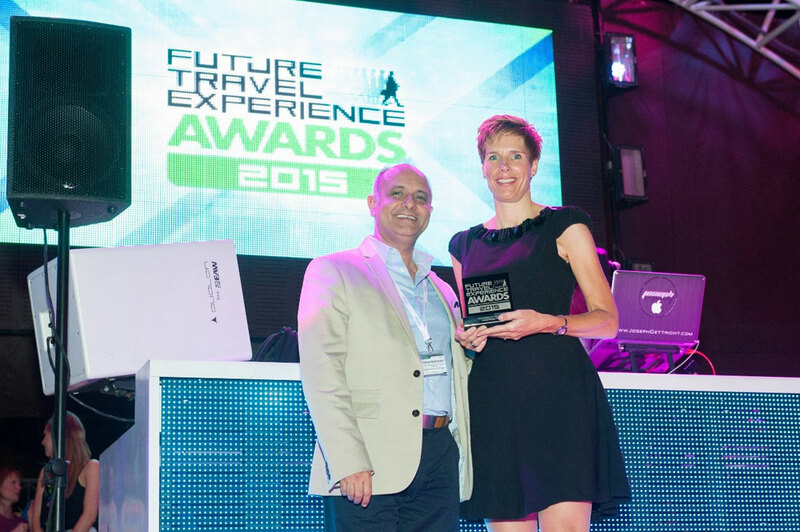 Aruba Happy Flow also received the Best Immigration & Arrivals Initiative of 2015 at Future Travel Experience Global! 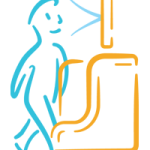 Would you like to learn more about Aruba Happy Flow? Contact us!